David and Mary Board were both born and raised in Evansville, Indiana. Growing up in the same downtown Southern Baptist Church, they sat at the feet of an old time, Bible believing, Bible preaching man of God. Shortly after they were married they realized that the old fashioned preaching and standards which nurtured them in their youth were no longer present under the ministry of the new pastor who had come. The young couple made a decision to look for a church that had not abandoned the old time religion. Having been trained in vocal music for a number of years, David was interested in finding a place of service as well as a church that stood for the truths of the Word of God. So it was that this nineteen year old young man was led to the Evansville Rescue Mission where he organized and directed children’s choir. In 1967 Dave and Mary became a part of the ministry of the First Baptist Church of Princeton, Indiana where David had been called to be the Minister of Music. They later were called to the University Heights Baptist Church in Evansville where Dave organized and directed the church’s first choir. Under the ministry of Dwayne Dodson, pastor of University Heights, Dave answered the call to preach. 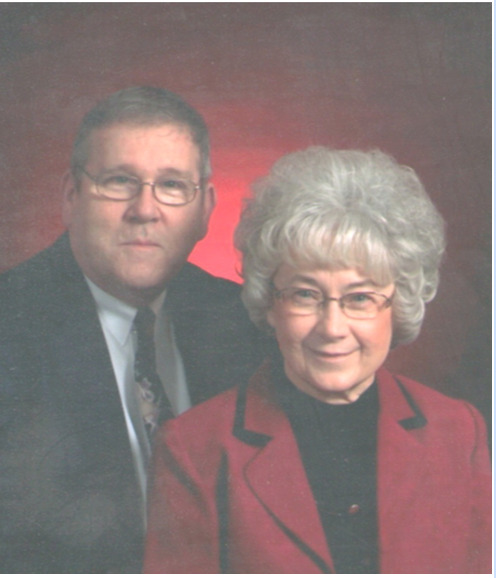 The Boards and their two children soon moved from Evansville to Ankeny, Iowa where both Dave and Mary enrolled at Faith Baptist Bible College. His preparation there would prepare him for a diverse ministry of music, preaching and education. He has taught Bible, Theology, and Music from middle school through college levels. While a student at Faith, David accepted the call to pastor a failing Baptist church in a nearby town. The church was stabilized and saw considerable growth. The Boards later began attending Grandview Park Baptist Church of Des Moines, Iowa. While there Dave was elected deacon. Later he served a Pastoral Internship under the pastor of Grand view, Dr. Paul N. Tassell. Upon completion of that internship, Dr. Tassell asked David to become a member of his staff serving as Assistant to the Pastor. During the mid 80’s the Boards gave oversight to the beginning of an afternoon Sunday School. God richly blessed this inner city ministry and hundreds of boys and girls from scores of different countries around the world were bused to the church and many were led to faith in the Lord Jesus Christ. A number of the children brought in through this ministry and several of the workers now serve in “full time” Christian service. Among those called to full time service was David Jr., who worked with Cambodian children and adults that he brought in on the bus route he was given. The Boards remained at Grandview for seventeen years. Upon leaving Grandview the Board family moved to the fellowship Baptist Church of Marshalltown, Iowa where they remained for six years. Upon the retirement of the Senior Pastor of Fellowship, Dave accepted a call to the First Baptist Church of Bridgeport, MI where he worked under Dr. R. B. Ouellette. They remained in Bridgeport for seven years. The last place of service the Boards were to have before failing health brought about their retirement, was the Bellepoint Baptist Church of Hinton, West Virginia. God richly blessed during the eight and a halfyears David and Mary served there as pastor and wife. Their son, David Board Jr. and his family, serve as Missionaries in Cambodia. The Boards also have three married daughters. They have thirteen grandchildren and three great grandchildren. Dave and May moved to Missionary Acres in March of 2013.